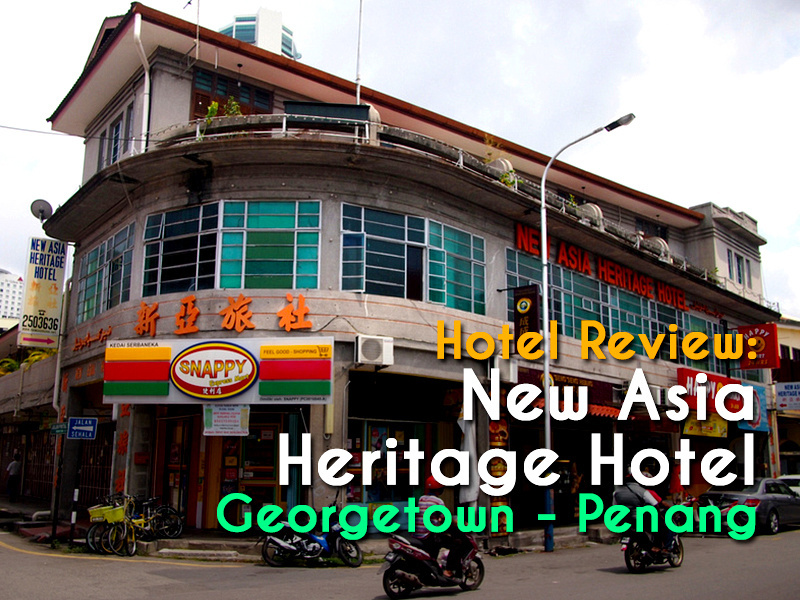 I stayed at the New Asia Heritage Hotel in Georgetown, Penang. I was already in Georgetown looking around for some different places to stay and I was curious about this hotel. I had walked by it before and I was attracted to its retro signage at the entrance. 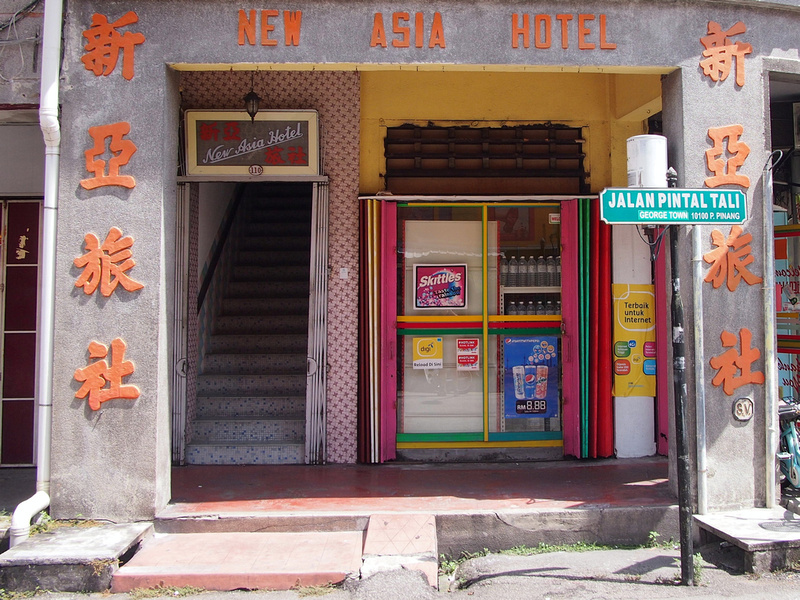 The original sign says “New Asia Hotel”, though it is now known as the “New Asia Heritage Hotel”. Like the old signage, the exterior has barely changed either and I was wondering if it was still in operation as there is no street-level reception. 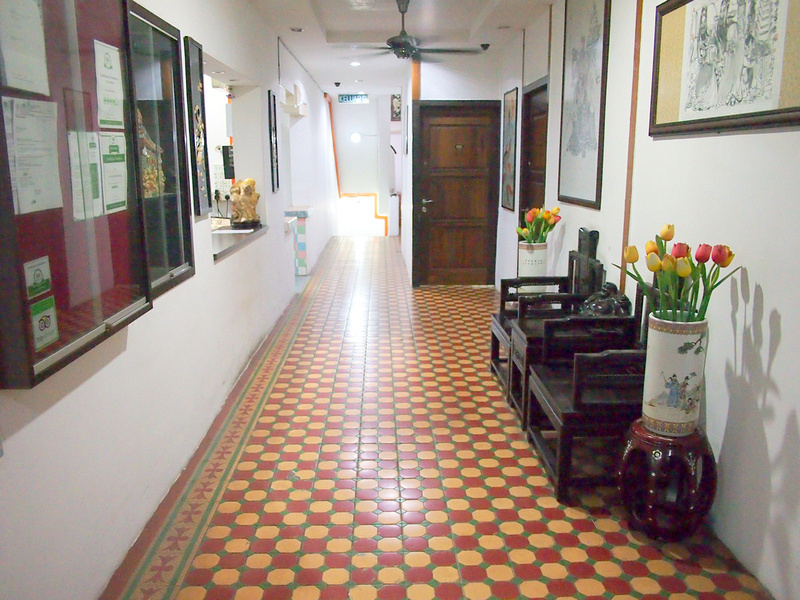 I went upstairs and the interior has the same old tiles that appealed to me at the entrance. I got a single room with bathroom. This was the last room available when I booked. 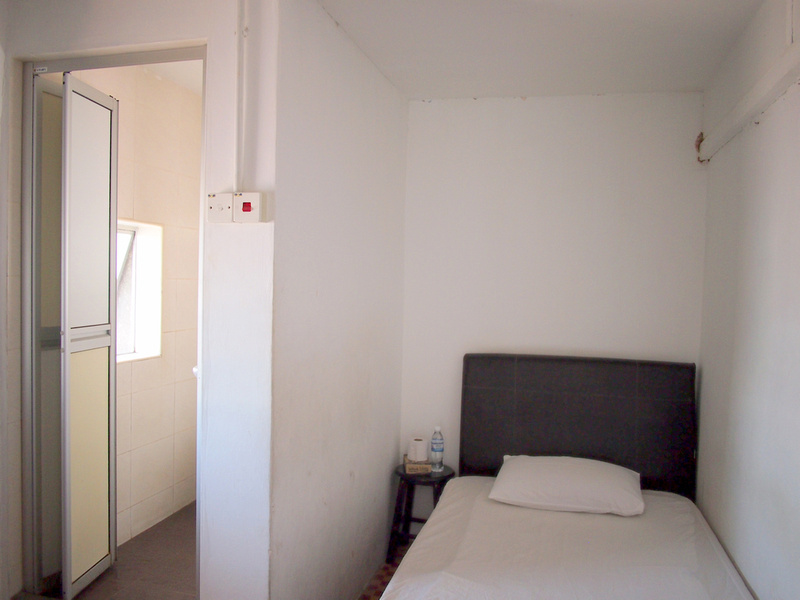 The room was small, with just enough space to fit a single bed. There was a cupboard and a window though, so the room was bright and there room to unpack. The room has air conditioning. 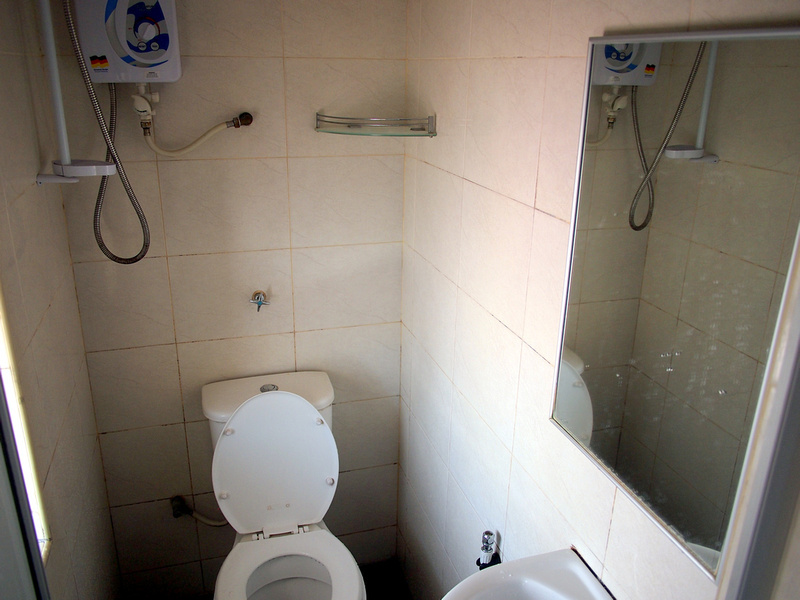 The bathroom is a typical toilet/shower room. Despite its age it was clean and orderly, and everything in working order. There is an instant hot water system, and a window. I like the vibe of this place with the simple old furnishings and tiles. There is an open courtyard in the middle of the building allowing plenty of light and air to circulate. 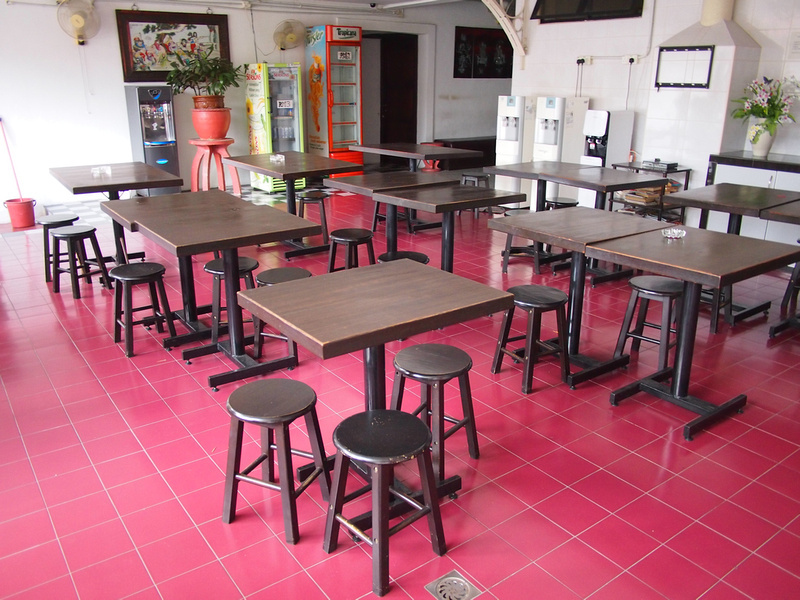 There is a common area with tables and tea and coffee facilities. There is free wifi throughout the property, though I had problems with the signal in my room. My room was at the end of the hall and I went to the foyer a few times to get a reception. I liked the location of this hotel as well. 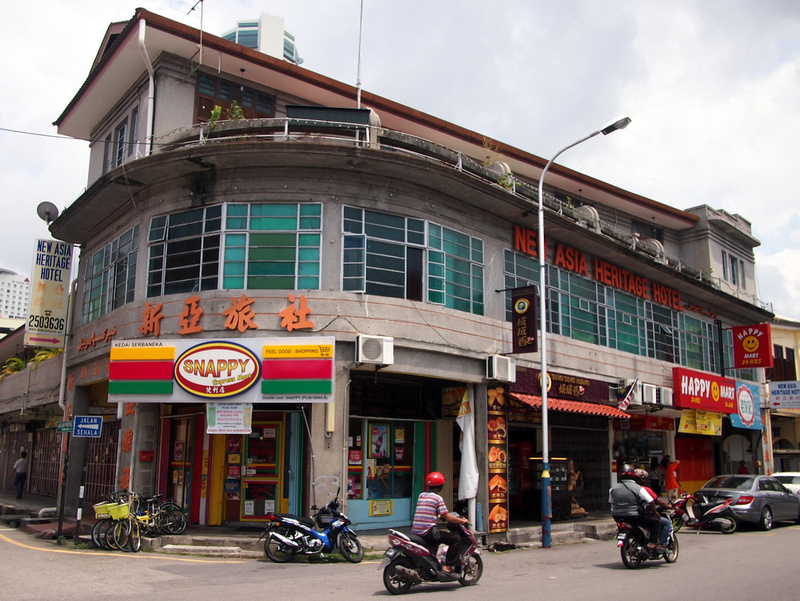 It is on the section of Lebuh Kimberley which has a street food market at night, and it is close to the KOMTAR tower. Overall this was an interesting place to stay in Georgetown. I liked how the hotel has kept the original features of the building, adding a bit of character to what is a basic budget hotel. 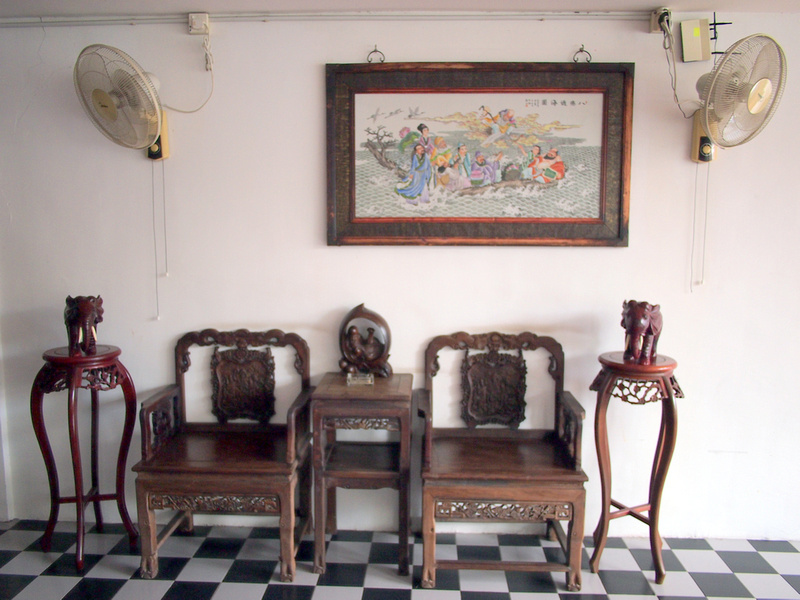 Book the New Asia Heritage Hotel online or search for more hotels in Penang.